No matter I’m stressed, sad or anxious this unique place has the ability to make me feel good and calm inside out. Being there affects me like the presence of the dearest friend; I feel safe and accepted. 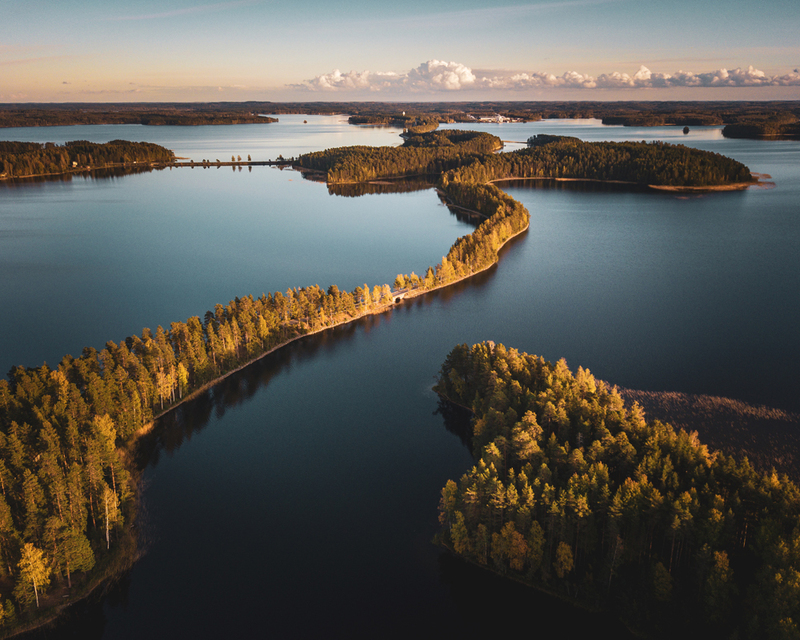 All kinds of positive thoughts and feelings awaken in me when I spend time by the lake or in the forests of Punkaharju ridge area. That is why -in the end- I wasn’t that surprised when CNN Travel chose Punkaharju Nature Reserve to be one among 50 Natural Wonders in the World. Last week I heard that Japanese call all protected nature areas as “healing places”. When you step inside of them, you naturally start to feel better mentally and physically. Based on what I’ve experienced in Punkaharju, in the heart of Lake Saimaa, I agree with them totally. Watch this 360° video in Youtube app with virtual reality headset and remember to turn on HD. Tap on Youtube icon on the player below or open this link https://youtu.be/-j5gGoSrBt0 in your Youtube app. 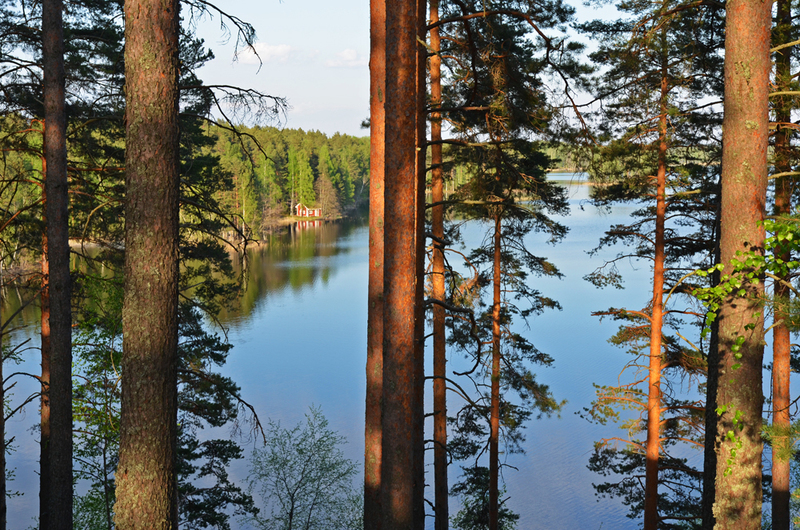 Even though I’ve visited Punkaharju Nature Reserve all my life, I never get tired of it. The area is so versatile in nature. 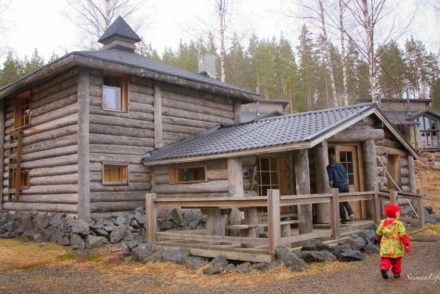 Last year I was giving a speech at the Finnish Nature Center Haltia about living in Punkaharju. While preparing my speech I realized one possible real reason for my feeling. 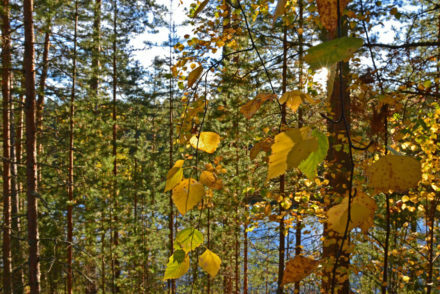 In 2016 I made an online course with Finnish ecopsychologist Kirsi Salonen about learning to process negative emotions with the help of nature and grow to be oneself. I had noticed on my own that different kinds of forests and nature views affected me in a different way. Kirsi told me that based on studies it really is so. 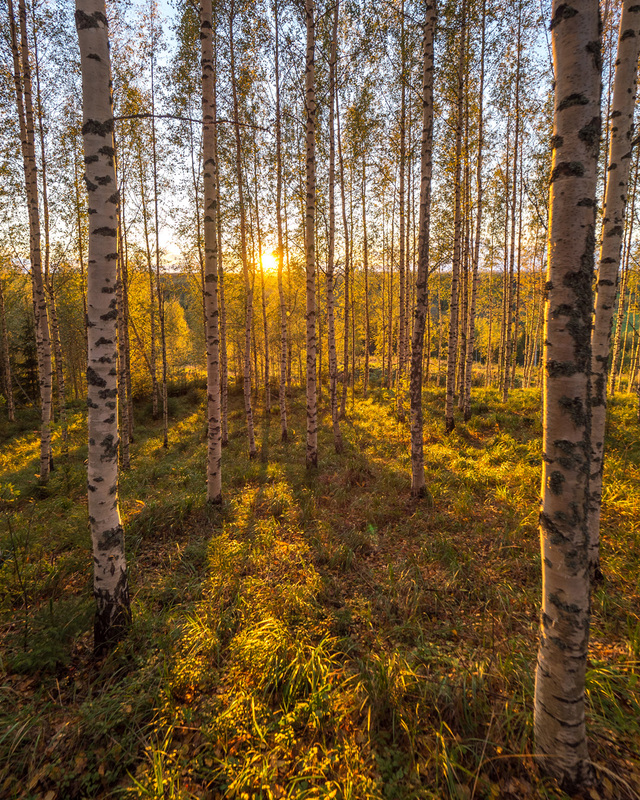 Different kinds of natural surroundings affect us all in different ways and can as its best support our holistic wellbeing. I believe that is one secret of Punkaharju nature reserve; there you find high places with a feeling of space around you, low places with a feeling of closeness, sheltered spruce forests that make you feel safe and light birch forests that make you naturally feel hopeful and take your attention to light and positive things in life. 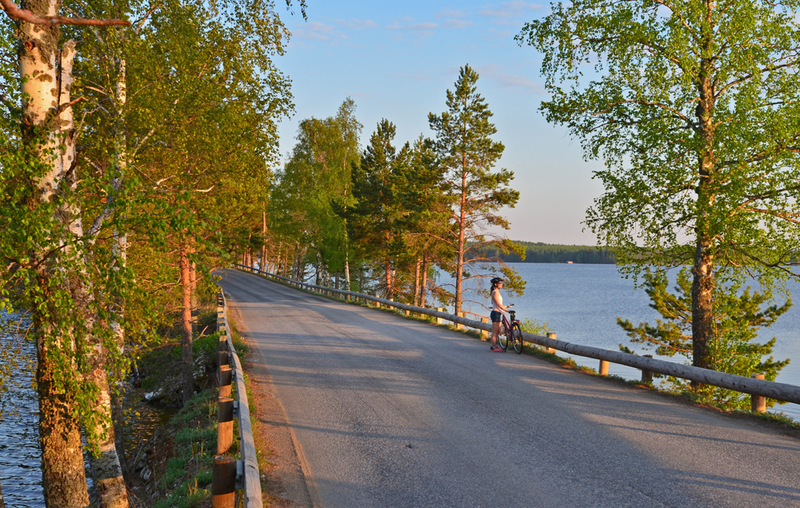 Whatever your mood and state are you probably find a place in Punkaharju to make them better. 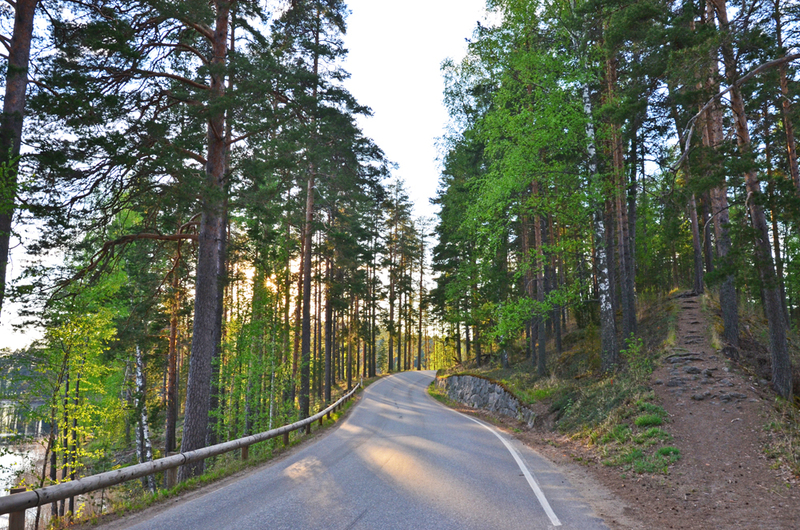 The road that you see in these photos was voted as The Road of the Century in Finland. 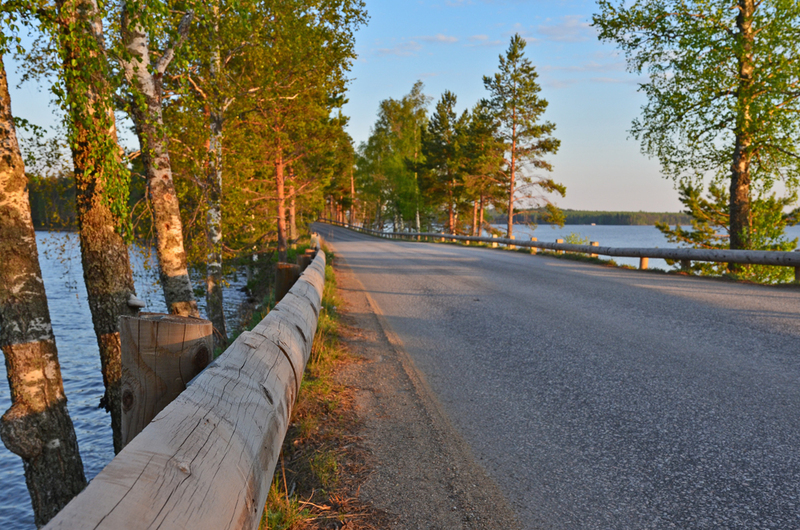 It’s a MUST road to experience during your Saimaa travel. Also, book time to step outside the road. I wrote you some extra things to this map but you can download a clean map and get directions how to come here under this link. 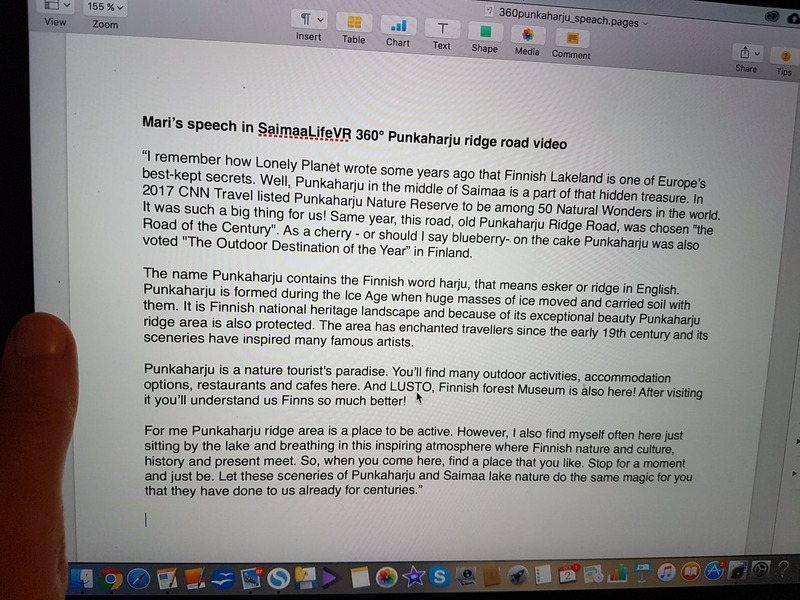 I mentioned in the beginning that Punkaharju is the heart of Saimaa. 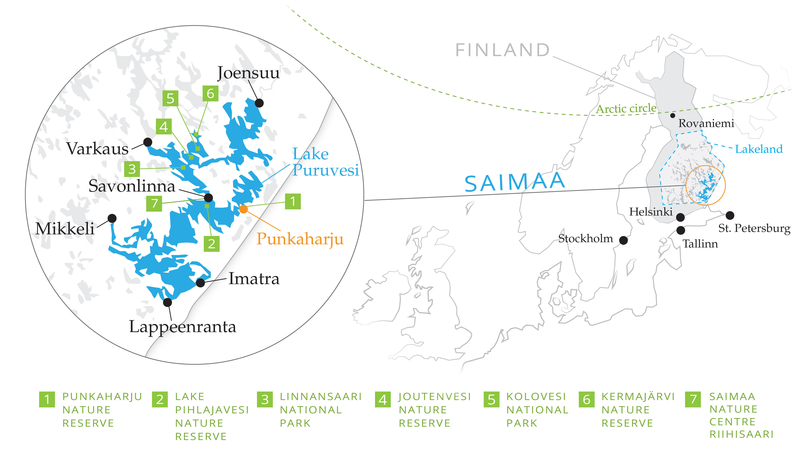 I really think so since Punkaharju Nature Reserve is one of the world’s oldest reserves. The area was named a crown-owned park already in 1843. Its present status as a nature reserve it received in 1991. I could tell you so many stories of this area, but let it be now. I just tell that a few weeks ago I learned that my father -who died in August- have actually made forest work in many places here when he was younger. It again gave me a whole new meaning for this part of Punkaharju. Love that! 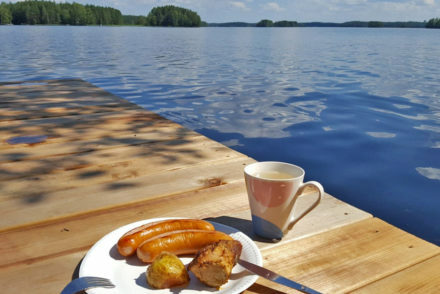 When you start planning your Saimaa travel to Punkaharju, check the site of Visit Punkaharju. If you start your journey from Helsinki, taking a train is one great option. The train journey takes 3 hours and 40 minutes. The train stops called Lusto and Retretti are right next to the ridge area. Beside Lusto stop there is Finnish Forest Museum Lusto too – I recommend to visit there too! 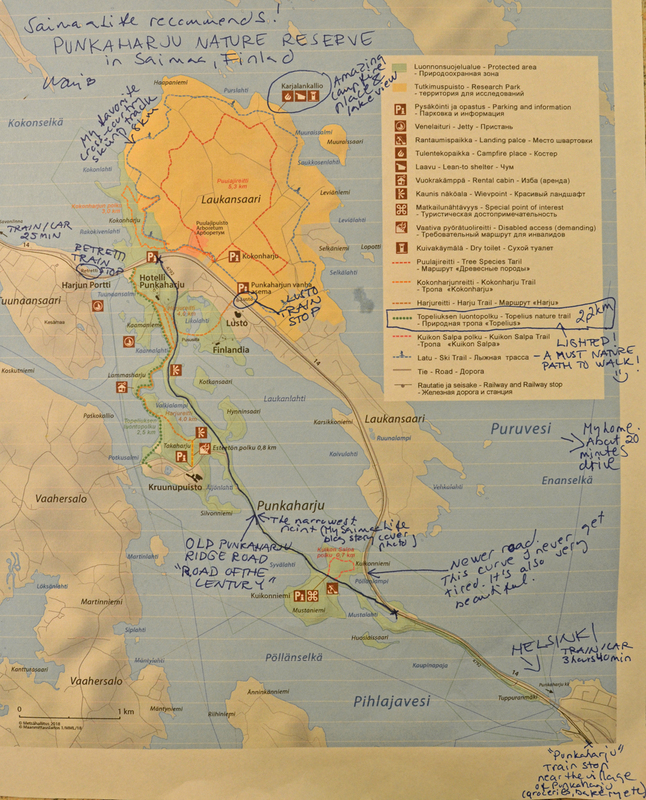 All of Finland’s train schedules and tickets you find and can buy here. Another option is to rent a car from the airport. 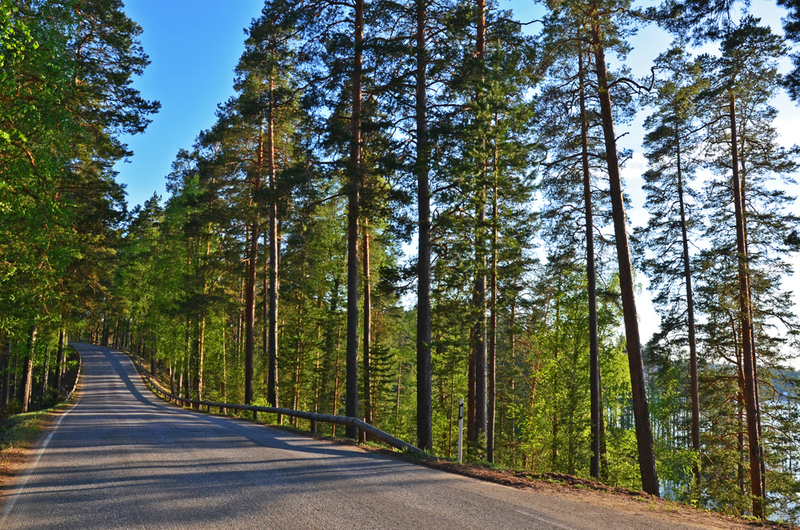 Read more about car rental in Saimaa here. 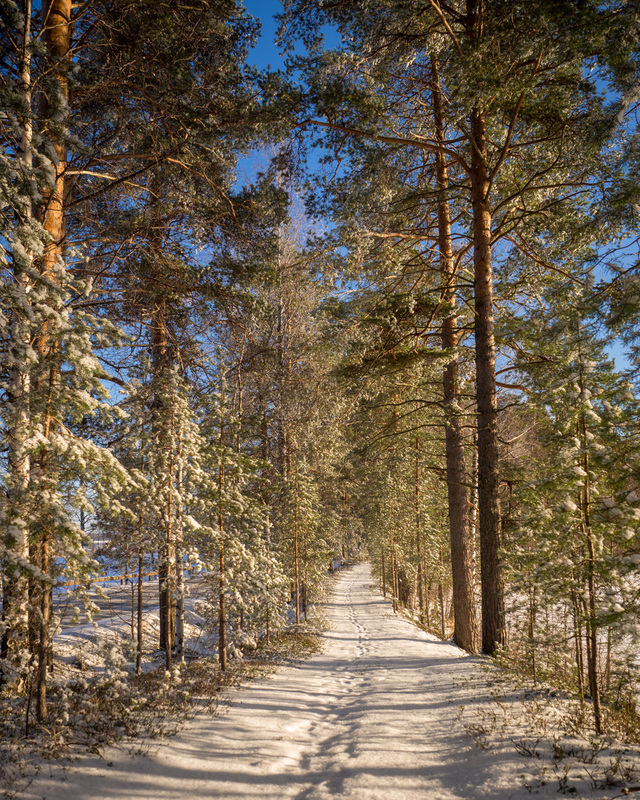 Here’s still a couple of activity tips if you come and experience Punkaharju ridge area in winter. 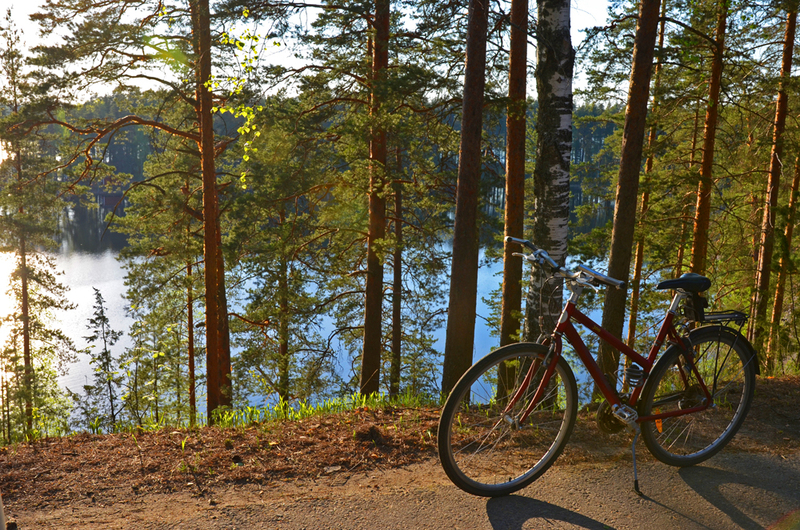 In the summertime, I recommend hiking or renting a bicycle – and of course, swimming in the Lake Saimaa!